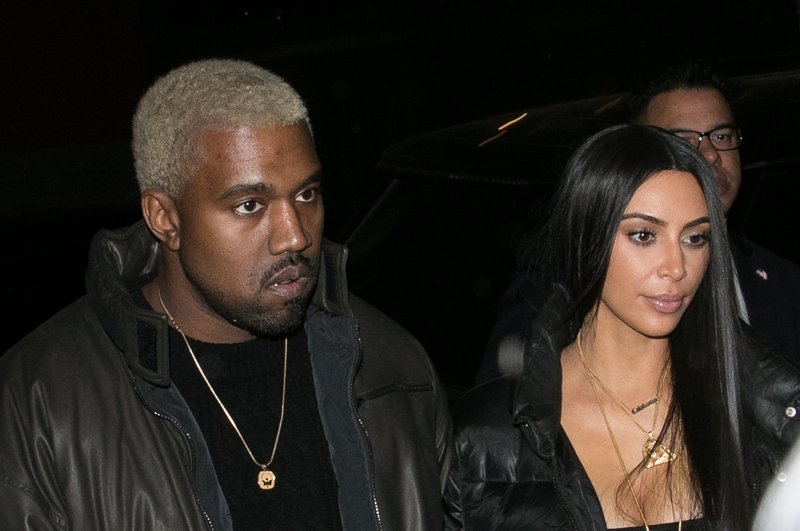 Kim Kardashian has opened up about her decision to hire a surrogate to carry her and Kanye West’s third child. The businesswoman and TV personality wrote in a blog her decision not to become pregnant following the births of North and Saint. Kim Kardashian describes the medical advice she received. I have always been really honest about my struggles with pregnancy. Preeclampsia and placenta accreta are high-risk conditions, so when I wanted to have a third baby, doctors said that it wasn’t safe for my — or the baby’s — health to carry on my own. Although I have used the term surrogate in the past, a gestational carrier is actually the technical term for a woman who carries a baby that she has no biological relationship to. A traditional surrogate donates her egg, is artificially inseminated with the father’s sperm and then carries the baby to term. 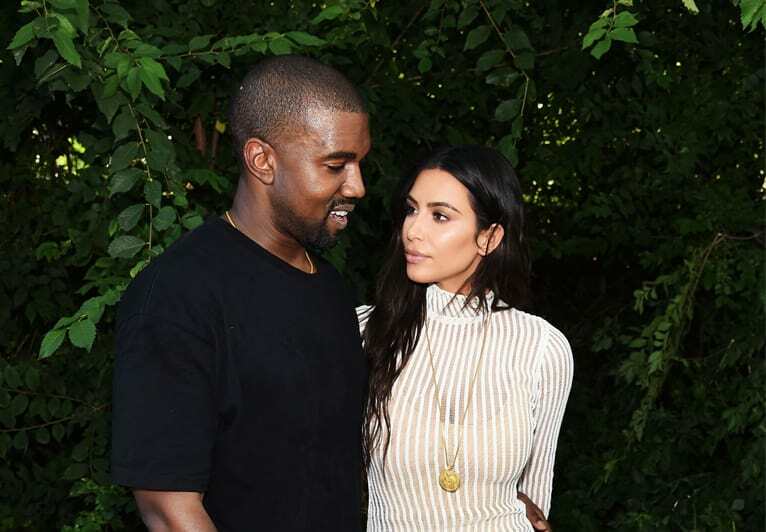 Since we implanted my fertilized egg in our gestational carrier, our baby is biologically mine and Kanye’s. We are incredibly grateful to our surrogate who made our dreams come true with the greatest gift one could give and to our wonderful doctors and nurses for their special care. 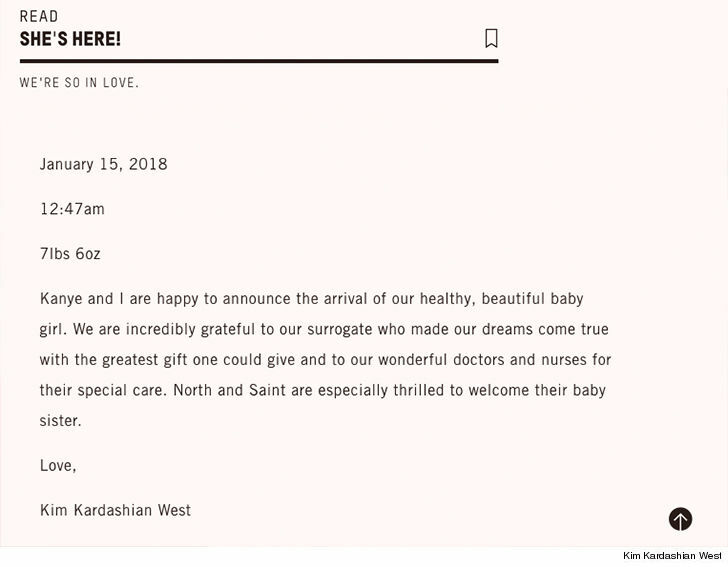 North and Saint are especially thrilled to welcome their baby sister.Love, Kim Kardashian West. 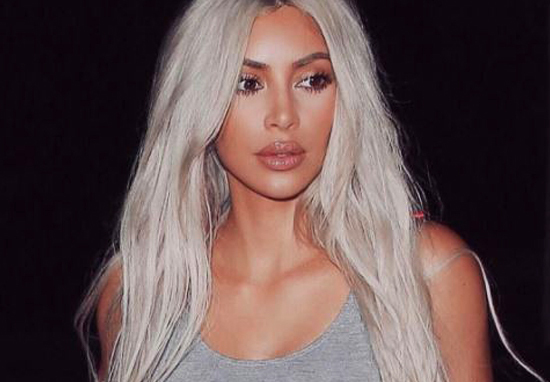 In late September, the reality star confirmed she and her husband were expecting their third child during a phone call with her sister Khloe Kardashian. Tbh, they seem like nice people. I wish them all the best.